Are you confused about how to get six-pack abs and a rock hard body? Last time I checked, there were 26,300,000 results for “Workout Plans” on Google. I am blown away by this. Give me the “needle & haystack” challenge any day! Sheesh! It seems we are bombarded with exercise and diet information from every direction. Who do we trust? How do we know what actually works? Before we get into the exact strategies for how you can create a rock hard body & six-pack abs… let me share a bit of my story. For the majority of my life I have been that guy that couldn’t gain muscle. I remember in High School working out like a dog and getting only minimal results. I would drive down to the Y every day to pump iron and be there sometimes for 2 hours. I tracked my results, stayed consistent and brought my “A-game,” yet low and behold… had very little progress. I settled on the belief that I simply didn’t have the right genetics to get ripped like Brad Pitt (in the movie “Troy”) or Joey Lawrence (Remember him from the show Blossom? The dude is totally shredded). The most frustrating times were when I would go to social gatherings. Do I workout?! Do I WORKOUT?! This would be my kiss of death. Now, I’m not so vain to think that the only reason to workout is to look good. I know there are lots of benefits. Yet instead… I got… “Do you workout?” Doh! I have a bit of a confession to make. It’s kind of embarrassing but I’m going to be open and share it any way. For much of my life I have studied exercise and nutrition. I have even gone through personal training school and nutrition classes. I have devoted myself to learning the proper way to eat & train for maximum health. Yet, even after my hours & hours of learning, I still didn’t know the exact plan for getting the visible results I was looking for. I had tried so many plans before (most recently being Timothy Ferriss’ 4-Hour Body approach). I even took $200 worth of supplements that were designed to give my body everything it needed in order to pack on major muscle and get ripped. Well, after 30 days… nada. Don’t get me wrong, I was still pretty fit. Yet I was looking for that “totally ripped look” that you see a lot of the celebrities have. Awhile back, I read an article on the internet that said that fitness models don’t workout more than you and I. They actually spend less time in the gym… typically an hour or so, 4X per week. 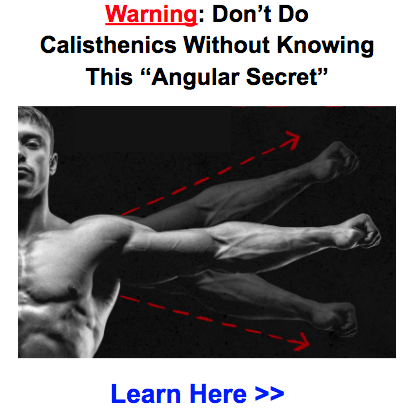 So how do they get such incredible results? The key is in the plan. They know the exact type of workouts AND exactly what to eat in order to get a jaw-dropping body. At first, this was hard for me to believe because I was working out so hard and eating nutritious food (my wife and I are mostly macrobiotic). Well… long story short… I was. That article lead me to an individual named Mike Geary. He has created a program that has helped thousands of people get the results I was looking for all these years. I feel like I have finally found the missing link. 2. I will also tell you about my personal commitment to walk hand-in-hand with you to help you get the body you are searching for (see below). Ever since The Atkins Diet has swept the nation, carbs have received a bad reputation. People on the diet have lost a lot of weight, then claimed that it was all because they cut out carbs. The reason they achieved results is because they eliminated the bad carbs… along with the good ones. The truth is that you need carbohydrates in your diet. The exciting fact that I learned is that you can use carbohydrates as a tool on your journey to getting ripped… and it has everything to do with insulin. When carbs are broken down by your system it increases the level of sugar in your bloodstream. Your pancreas secretes a chemical called insulin to remove this sugar and put it into (1) fat stores, (2) muscle glycogen stores or (3) liver glycogen stores. If the second two are already full, then your body will put it in fat storage. If you eat foods that are high on the glycemic index, your body has to release more insulin to counter-balance the increased sugar in your blood stream. And this sugar needs to go somewhere. For most people, it gets dumped right into fat storage. In the program, Mike goes in detailed explanation for the right combinations of carbs, protein and fats in order to eliminate this “sugar dump” and also teaches you how to keep your levels even so that you are burning fat all the time and supporting muscle development. This principle may be counter-intuitive for most people. This isn’t you, is it…? Breakfast: A light breakfast consisting of maybe oatmeal and yogurt or cottage cheese. Lunch: You know salads are healthy for you so you bring a big salad with you to work with light or fat-free dressing. Dinner: By dinner, you are so hungry that you eat a huge meal because you are “starving-to-death”. You get frustrated because you are not getting results and may actually be GAINING WEIGHT. Do you want to know the reason why? It has everything to do with your metabolism. When you eat infrequent meals, your Resting Metabolic Rate or RMR decreases. This is the rate that your body burns calories while at rest (not exercising). In everyday terms, this is what happens…. Mike lays out the exact plan for what & when to eat in order to supercharge your RMR so that you are burning tons of calories, even when you’re not working out. This was the kicker for me, since I was a healthy eater long before I knew what I know now. There are actually healthy foods that are not conducive to getting a rock-hard body. I thought to myself, could this be true? After going through the program I learned a lot about the properties of foods and which ones to avoid. 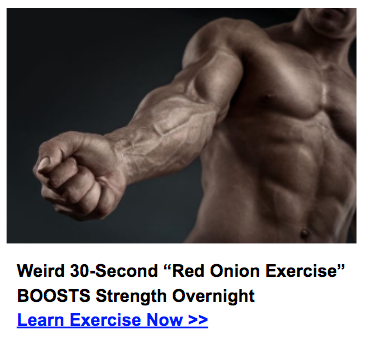 I’ve been incorporating these into my regular diet plan and have noticed incredible results. To skip immediately to the video explaining foods that burn belly fat, click here. How Fast Did I See Results? I started following Mike’s program on April 26th. As soon as I downloaded it, I totally engulfed the material. I took vigorous notes and started incorporating everything 100%. And in less than 2 weeks I saw noticeable results. My abs became more clearly defined than they ever had been before. My chest and biceps were looking really cut (where before they had some definition, but certainly not “wow” factor). I’m not saying this is typical. I was already working out really hard and had a baseline for good nutritional practices. The problem that I was experiencing before I started the program was that I didn’t fully have all the right information to achieve my goals. As soon I incorporated Mike’s guidelines into my regimen, my body finally got exactly what it needed to become ripped. I am not going to say you’ll turn into Brad Pitt in 2 weeks. Developing a rock-hard body takes work & time. If anyone tells you that total transformation will happen over night… run for the hills. They are lying. Although, it does take time to get amazing results, most people (if they follow Mike’s recommendations) should see transformation occurring within 30 days. Let’s be honest… how hard is it? I want to emphasize this point: getting in incredible shape is not easy. No one can watch television all day and expect a rock-hard body & six-pack abs. However, some commonly held myths hold many people from even starting the journey. Myth 1: I need to spend hours at the gym. I’ll be straight forward and tell you that I weight train (home-based & mostly body weight exercises) about 4-5 days per week and each session lasts 20-30 min (max!). I’m dead serious on this. When you increase the intensity of your workouts, you can decrease the time. HOWEVER… my workouts are tough. Some times I cry during them because my muscles hurt so bad. But I get in and out. No pansy-footin’ around. You can enjoy an incredibly tasty diet and still decrease your body fat enough to get ripped. It comes down to having the right information so that you know how to manage what you put in your mouth. I’m not telling you that you can gorge on Butterfinger candy bars (sorry Bart). Yet, you don’t need to be a raw-food vegan that lives in total isolation, either. They say that knowledge is power. For me, I felt like I spun my tires for years without the right information. 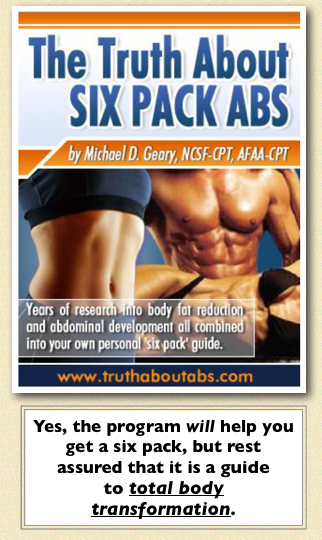 Mike’s program gave me those answers and have proven the results. Full Disclosure – In full disclosure (and proud to say)… I have chosen to be an affiliate of Mike’s program. This means that if you decide that his program is right for you, I’ll receive a commission for referring you. I believe in his program and am committed to helping you get the results you are looking for. If you decide to purchase the program using any of the links on this page (my affiliate links), I commit to helping you each step of your fat loss and muscle building journey. Send me your receipt number (todd@ashotofadrenaline.net) and I will answer questions you may have, look at your specific diet and make recommendations, help you create a workout plan (based on Mike’s plan) and trouble shoot any other challenges you may face along the way. ***You No Longer Need To Be Alone On Your Path To Getting Fit. I started off the article by talking about the importance of a plan. 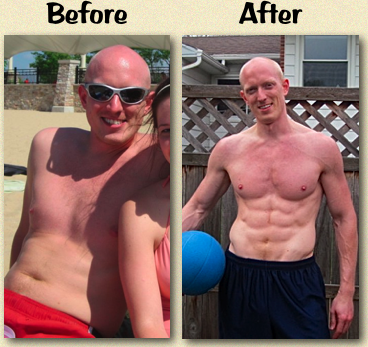 Mike has created a plan that has helped thousands of others get the body they desire. To see some great testimonials from people that have used his system, click here. He is one of the most successful Certified Personal Trainers and Nutrition Experts out there. He has published hundreds of articles on over 1,300 different sites. -A killer body weight training program developed by Turbulence Training founder Craig Ballantyne. Also, there is no risk because Mike includes a 60-day money back guarantee. If you choose to not stick with the program… you’ll get every cent back. I don’t like getting sold & I know you don’t like it either. I’m not telling you that this is the only plan out there that will work. The principles for getting shredded are the same. What I am sharing with you is what worked for me. And I would like to help you develop the body of your dreams too. If you are ready… click here to check out 7 Odd Foods That Burn Belly Fat. Whatever route you take… make sure to stay consistent with your plan. Building a dream body is not easy. And it won’t be developed in a day. Yet it is worth it. The feeling of accomplishment is like nothing else. Thank you for giving me the opportunity to share my journey with you. I look forward to walking beside you on yours’. Thanks Todd! I love reading these articles and I’m starting the insanity challenge soon. I’ll try to use these tips for the best results. Also, If you haven’t checked out extremesealexperience.com yet, it seems right up your alley. Thanks again man. Glad you are enjoying the articles. That’s encouraging for me to hear. I’m working on a post for next week where I have asked some of the greatest athletes of all time what one of their biggest sacrifices was in getting to the top. Some of the answers are really insightful. Should launch it Monday. I haven’t done insanity but hear it’s great. The HIIT style is definitely one of my favorites. Keep me posted on how you are doing with it. Was great to read your testimony for Christ, was encouraged.PS.especially like the verse at the end of your youtube videos. I appreciate that Vinod. To HIM be the glory! Hi, i’m looking for a good weight loss workout routine for females beginning to train. Hi I am April and I love the way this program sounds but I don’t like downloads I like to receive the discs and have them on hand.